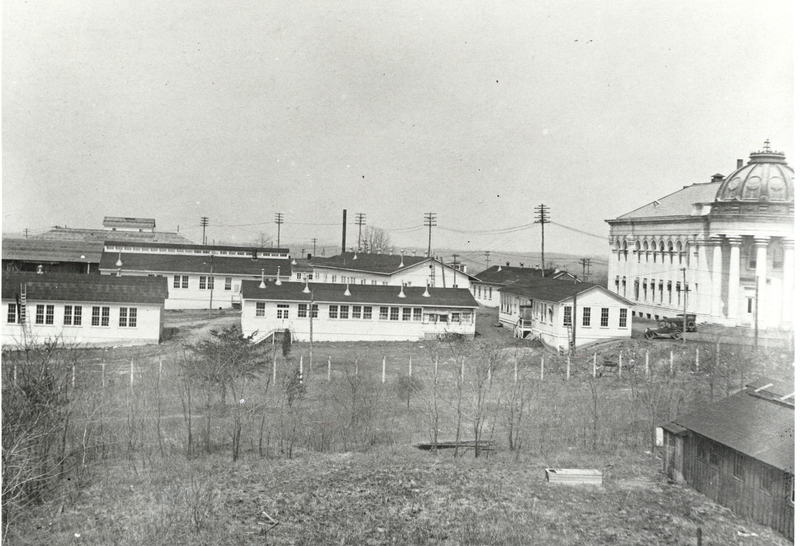 Camp AU was the birthplace of American chemical warfare, developing gases and apparatuses to be used on the front. The Gas and Flame Battalion (“Hell Fire” Battalion) was organized as part of the 30th Engineers in 1917 and was made up of 250 privates who made $33 per month along with non-commissioned officers, interpreters, clerks, engineers, plumbers, blacksmiths, and carpenters. Scientists working with the army’s “Hell Fire” Battalion made advancements in chemical warfare while doing testing at Camp American University. 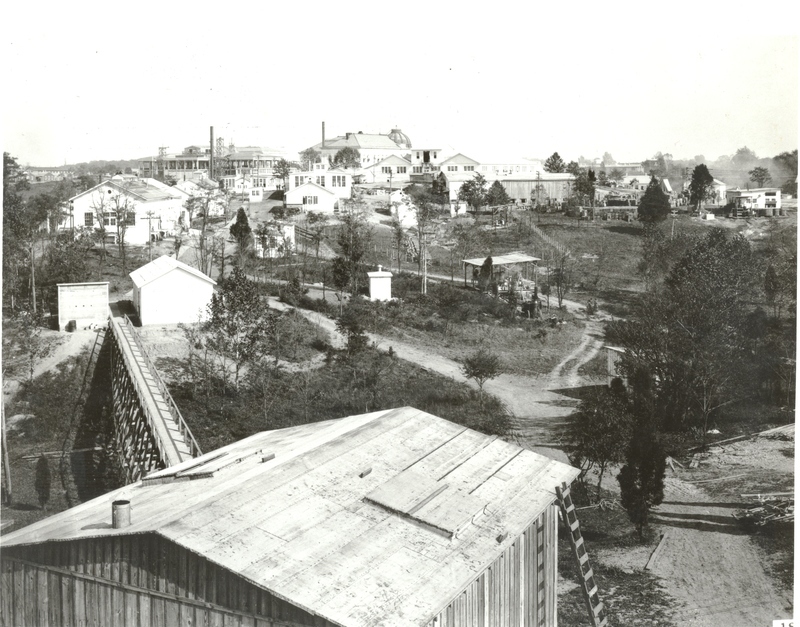 As of October 1918, the gas service employed 1,700 and had built 70 temporary laboratories on campus. During WWI, McKinley Building (also called the Ohio Building) was a testing center for chemical warfare. 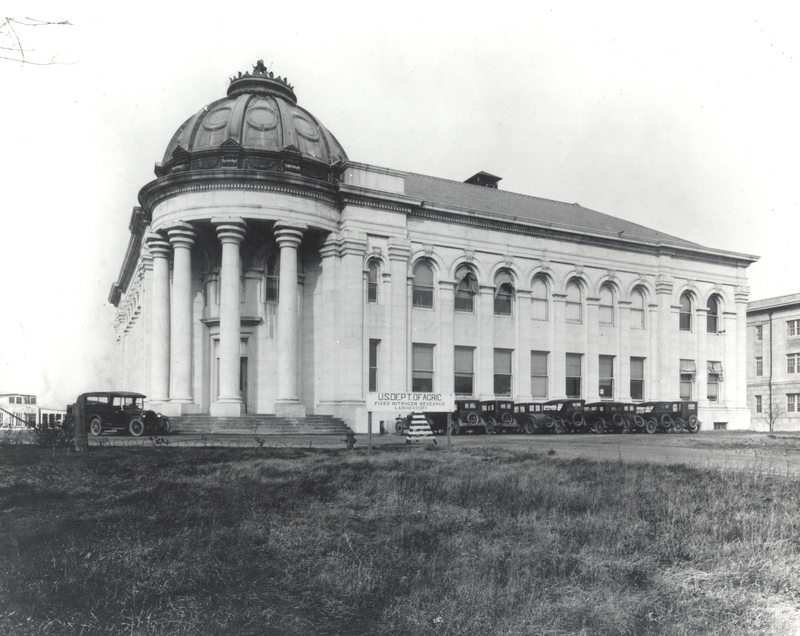 After the war, McKinley remained in the hands of the government under a lease, becoming the Department of Agriculture’s Fixed Nitrogen Laboratory.